When applied to solving real-world problems in organisational settings, service improvement techniques are likely to evolve over time in response to the context of their implementation. However, the temporal dynamics of this evolution and its underlying microprocesses remain underresearched. To address this gap, we present a qualitative longitudinal case study of facilitation as a service improvement technique utilised by a UK-based collaborative knowledge mobilisation programme to improve the detection and management of Chronic Kidney Disease in primary care organisations. We argue that an uncritical and uncontrolled adaptation of facilitation may undermine its promise to positively affect organisational learning processes and mask the unsustainable nature of the resulting improvement outcomes captured by conventional performance measurement. 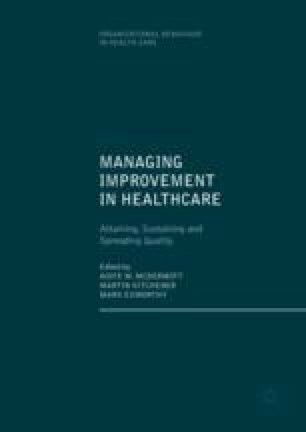 A reworked and expanded version of this chapter was published by Taylor & Francis Group as: Kislov, R., Humphreys, J., & Harvey, G. (2017) How do managerial techniques evolve over time? The distortion of “facilitation” in healthcare service improvement. Public Management Review, 19(8), 1165–1183, doi: 10.1080/14719037.2016.1266022.